Stewardship – Full Circle! Encouragement of good financial stewardship can bring great rewards. This totally free fundraising program is a lifeline for your supporters AND produces much needed resources for your organization. ** Approvals for this program are on a case by case basis. Talk to your Worth Representative, or call Sue at 407-443-0348. Question... how many of your supporters, sponsors or donors return up to $1000 to your church or organization when they get a new client from your membership? Let's face facts. America’s financial landscape has changed, but the needs and desires of our people have not. Debt, homeownership, college, retirement? … how to get ahead? Did you know that (according to numerous studies) over 50% of divorces are caused by financial issues? This makes financial management, and debt, the single biggest threat to families. It robs parents of time with their children, it robs children of college and a better future, it can mean the loss of a home, and tear families apart. Currently, even families with better financial pictures have budgets that are a source of stress. Employment studies show that 29% of employees have job productivity & performance that is affected by financial stress, jeopardizing others safety, and the jobs themselves. Did you know that, according to the small business administration, over 45% of business failures are due to financial management issues? Good money management is at the root of success in many areas of life. 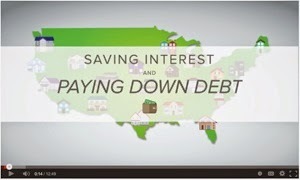 Churches & Non-Profits affected by debt too. How does this affect YOU, and your organization? Obviously, tightening of belts means your congregants, and/or supporters of your non-profit, have less left over for things like tithing, charitable donations and gifts of time, such as volunteerism. Perhaps you have employees who are feeling the financial reins tightening as well. Worth Unlimited has THE SOLUTION! BizCentralUSA, CharityNet & ChurchNet are a leading provider of services in the US for non-profits, churches and small-medium sized businesses. With over 30 different services they provide to over 13,000 clients nationwide, they have their finger on the pulse of the faith-based community and the world of non-profits. CEO, Efrain Rodriguez, is a CPA by profession. When Efrain looked at the Worth Account he recognized what a wonderful tool it is and, while Efrain is debt free himself... he's that way because he used the same mathematical principles programmed into the Worth software, to get his mortgage paid off in under ten years. As a CPA, he also had the discipline and knowledge required to pull off that feat. Efrain thinks everyone should be debt free but recognizes that most of us don't have the time, knowledge, math skills, and discipline, required to meet this challenge on our own. So... with the knowledge of a program that can truly help the vast majority of Americans with their number one concern... debt and financial stability, Efrain consulted with Worth Unlimited (and myself), to make the Worth Account a truly unique FUNDRAISER for churches and non-profits! The marketing model for the Worth Account has always been based on referrals... usually from financial planners, lenders, insurance and investment professionals and realtors (though we have also had many churches involved as well). 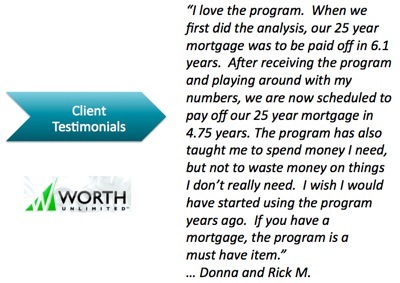 A network of Agents did a Savings Analysis for a potential client.. and the activation of the program. Now however, the model has changed... and all Analysis, Presentations and Sales are done in-house! This now opens the door for ANYONE to basically... "Refer & Earn!" Guess what... your organization can do the same and in a way that is no different than how you interact with other Sponsors of your group. So we want to introduce you to an AWARD winning product with a “Fundraising Program” attached to it that can easily return thousands to your organization on a consistent basis. Every time a follower clicks on a Worth banner on your website, reads an article in your newsletter or blog, and follows that to the Worth website to get a FREE Savings Analysis... it is tracked. When a client activates on the program... your organization, or church will receive up to $1000. This product helps your supporters in a very substantial way while it raises much needed money for your organization. How does the program itself work? What IS it? It’s called “the “Worth Account” from Worth Unlimited. The Worth Account is a “financial GPS” system… hands down the best program we’ve seen for helping individuals, organizations and business owners more easily, and efficiently, manage finances, pay off debt, and build net worth... Savings results are even guaranteed! How well does it work? It works great! This is a TWO part program consisting of both software AND unlimited training & coaching to insure EASE of use. 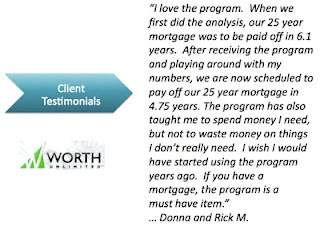 Worth’s average client is saving over $120,000 (amortized, that’s over $900 in interest savings, per month! ), and that is withOUT clients changing their budget! It works just like a GPS system, only for finances; pointing the user to the quickest way to zero debt paying the least in interest. For those with mortgages… 30 year mortgages, and all debt, is paid off (on average) in 7-11 years. This program can be used to manage the finances of a small business or organization as easily as it does personal finances. PRE-VETTED! ChurchNet and CharityNet looked into the Worth Account... they did the research for you. This program was “born” in 2004, with a test market of 400 users. Results were greater than expected… with clients achieving an average of 20% BETTER savings than initially projected and, 4 years later, with over 95% of clients still engaged and using the system (this is important to note as any program is only as valuable as it’s easy of use and ability to motivate users to “stick to it”). 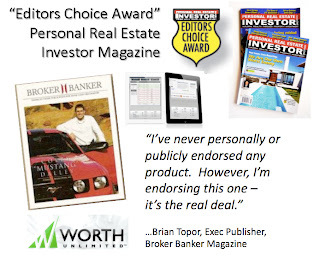 This led the Founders and Innovators of this program to be awarded the 2008 Ernst & Young “Entrepreneur of the Year” award in Financial Services for the Utah Region of the county, as well as the “Editors Choice Award” from Personal Real Estate Investor Magazine. 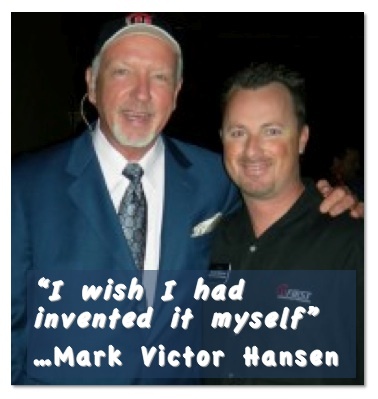 “I’ve never publicly or personally endorsed and product or service. 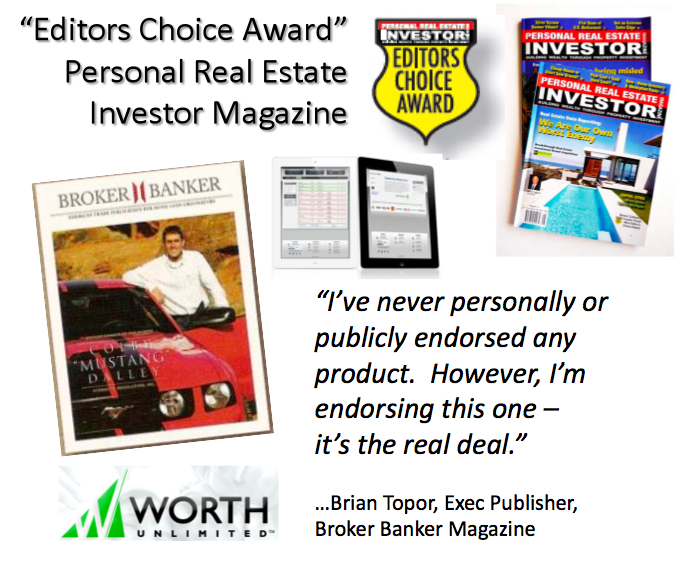 However I’m endorsing this one… it’s the real deal.” …Brian Topor, Exec Publisher, Broker Banker Magazine. Over the years, many Churches, and faith based organizations have been involved with the company as well, using the program to promote good principles of stewardship and encouraging followers to stop being “debt slaves” and free themselves to spend more time with their families and communities. FUNDRAISING made easy… and FREE! This is a program YOU can be proud to point your supporters to. It’s a BETTER way to get ahead financially… a way that will strengthen their family, solidify their financial future… a way that frees up more resources to HELP OTHERS. Your own “marketing” person to help you design unique campaigns around this program. ... webinar starts 1:00 minute in. 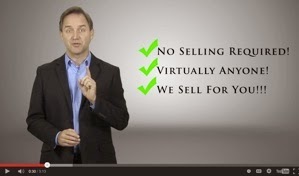 The Webinar will introduce you to Jason Brown, Worth Unlimited’s National VP of Sales. Introduction by Tom Reich, of ChurchNet & CharityNet. Jason will show you exactly HOW this program achieves the results it does, and we’ll discuss how easy it is for your organization to plug into this program as, what we believe, is the most worthy and beneficial FUNDRAISER we’ve seen. If your organization is approves there is absolutely NO COST for your non-profit or church to set this up. This is one of the best system that I have ever seen. This is really gives me hope because I can see the 2 programs in one one that will help me to get out of debt. But, also another that will help me to earn an income. This is amazing!!! You are right...the "big picture" is that we give our clients a program to help them be better disciplined and get out of debt faster... but with the referral program, we also give them a simple "vehicle" to EARN more money without getting a second job, or business. If you aren't already enrolled, and want to sign up... give me a ring at 407-443-0348 and I'll get you started! If you are enrolled, please feel free to use this site as a training and resource page.